SKU: CO5963. Listed in: Boy, Costumes, Costumes Kids, Halloween. Tags: boy, costume, Scream. Scream Vampire Costume. 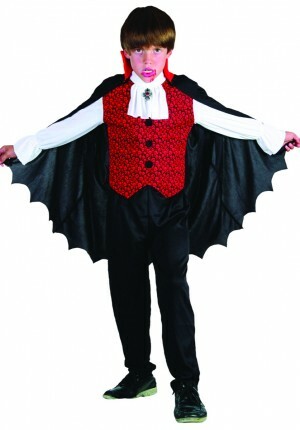 Comes with shirt with vest and jabot attached and cape with collar. Sizes small, medium and large.